Has a rage timer of 60 minutes. Tortoise Song can dispel any kind of beneficial effect, not just song and roll effects. An Aspidochelone in Medieval folklore was a giant "Asp-turtle" that was so huge that some mistake it for a small island. It was said to have trees and plants growing on its back to add to the illusion it was an island. Some of the legends say it would only surface for a short period of time, and then submerge, sometimes killing those who sought shelter on the beast. The stories about Sindbad's voyages have a small article about an encounter with a beast that looked like an island but swam beneath the waves. 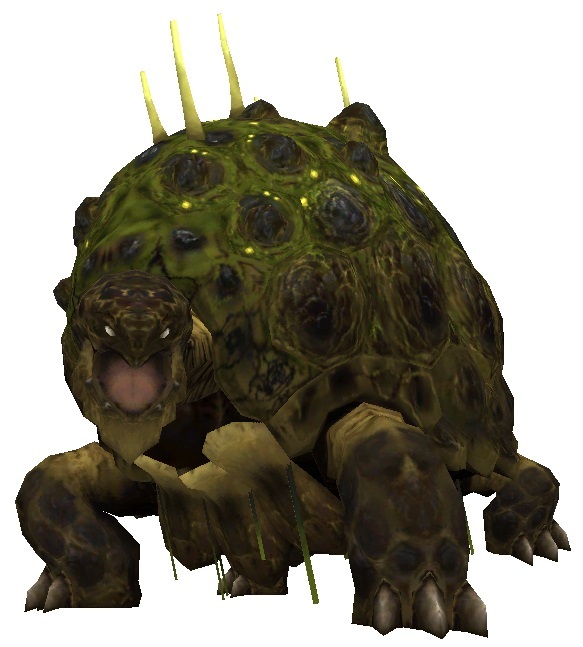 The breakdown of the name roughly translates into "Shield Turtle." This page was last edited on 30 December 2018, at 20:11.